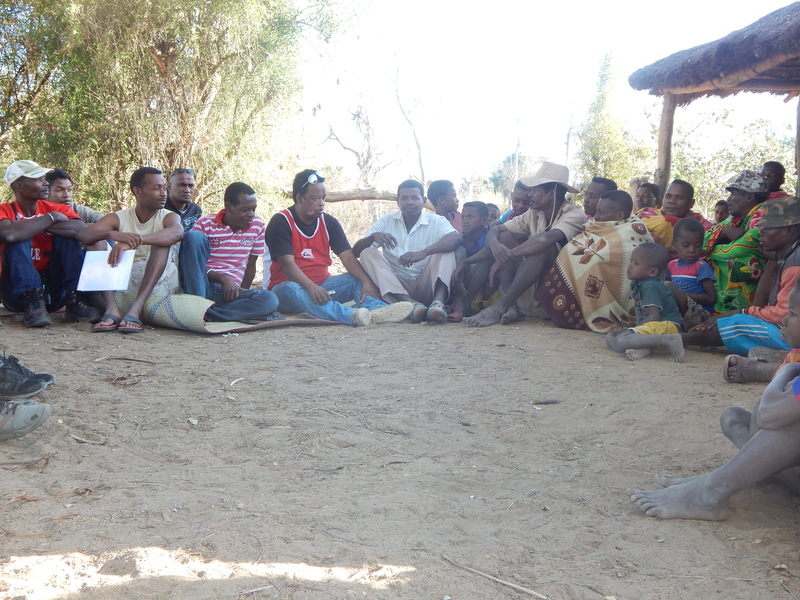 In June 2014, four Communes around the Bezà Mahafaly Special Reserve established a community-based security team (Dina be) to improve security in the region, where cattle rustlers and bandits had been increasingly active. 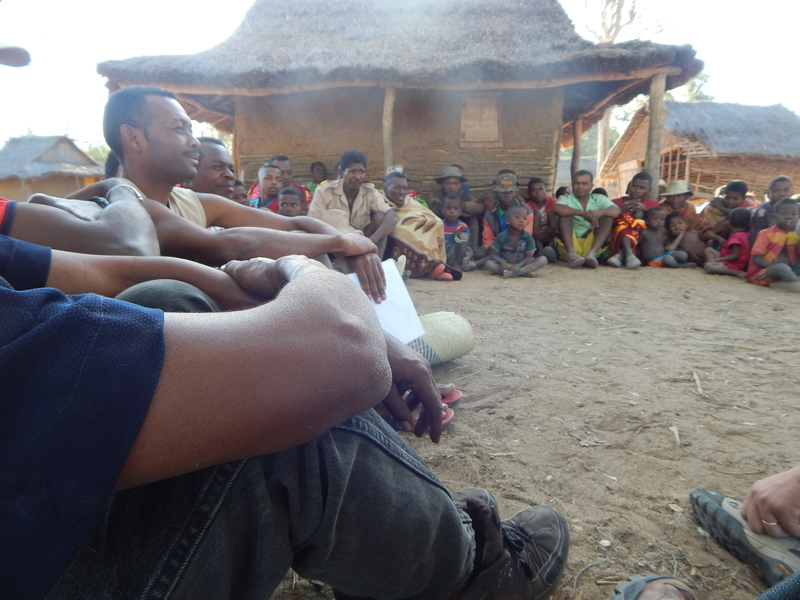 The Dina be was modeled on the experience of the community in setting and implementing a local agreement (dina) for forest conservation and management. Agreement concerning the Dina be emerged from meetings between Commune mayors, traditional leaders, and COSAP members, with strong support from the community as a whole. The agreement was signed and recognized by the participating parties with the sacrifice of zebu, and has received approval of authorities at the district (Betioky) and the regional level (Toliary). The Dina be has transformed the security situation around the Bezà Mahafaly Special Reserve for the past six months, and villagers are once again able to go about their daily lives without fear. Other communes are now interested in joining this security Dina. We are optimistic that this Dina be will continue to be enforced in addition to the support of the government in maintaining law and order.